It's not even been 24 hours since Microsoft announced the date for the new Xbox reveal event, and Sony has revealed some details about its next-generation console, the PS4. The video shows several of Sony Computer Entertainment's designers talking us through the design and functionality of the PS4's new DualShock 4 controller. Admittedly, a lot of the DualShock 4's capabilities described in the video were shown off in some detail at Sony's PlayStation event in New York in February. These include the device's new track-pad, in place of the Start and Select buttons, and the Share button, which allows users to upload and share clips from their gaming experiences online. However, the talking heads in the newly released video point to a couple of new aspects. 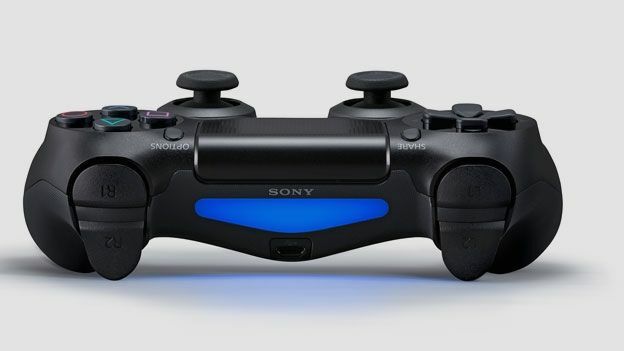 The blue light-bar on the front of the DualShock 4, for instance, can track the controller's position in front of the console; if the control pad is passed between players, the PS4 can automatically adjust the order of a split-screen in a two-player game. The controller also features a built-in speaker, which players can use to communicate during multiplayer matches and, which can also emit parts of the soundtrack from games that are being played. Sony's PS4 is scheduled for release at the end of this year.